Looking for an easy Customer Success read? 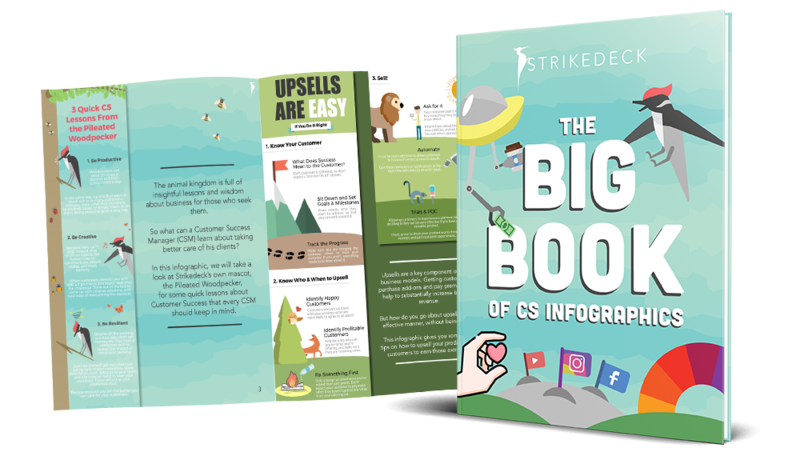 Strikedeck’s Big Book of CS Infographics is jam-packed with over 50 of our best, easy-to-digest infographics that cover every area of Customer Success imaginable, from maximizing upsells to minimizing churn, from building an awesome team to improving your own productivity, from how to segment customers to how to score customer satisfaction. This book is your one-stop resource to discover new ideas, expand on existing knowledge and find inspiration to improve on your Customer Success practices.